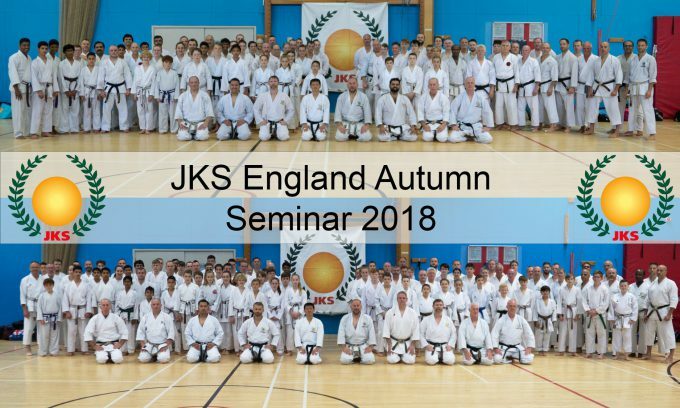 Technical seminar by Kanayama sensei was held in JKS England for 2days from October 13th and 14th. 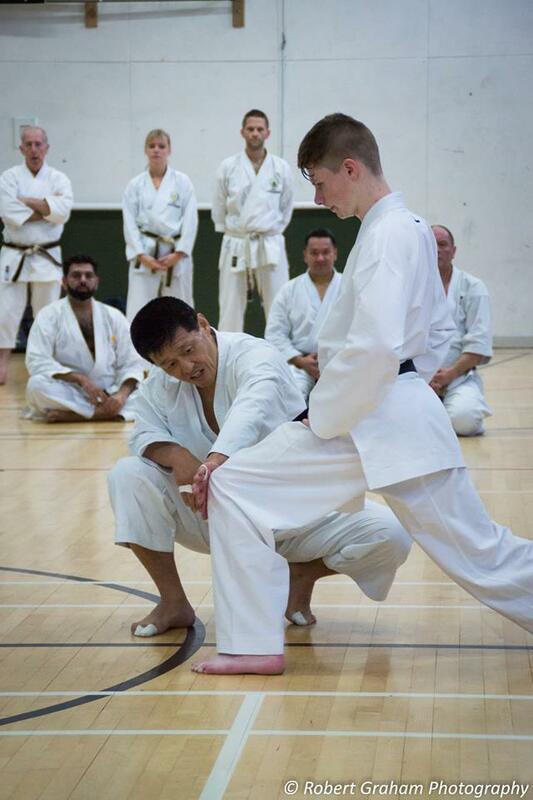 A supreme talent with a relentless focus, Kanayama Sensei did not disappoint, leading two days of excellent training which could not have fitted the brief of a technical seminar any more. There were many rigorous conditioning warm up exercises followed by kihon drills demonstrating the need for repetition to acquire a high standard such as Kanayama Sensei. 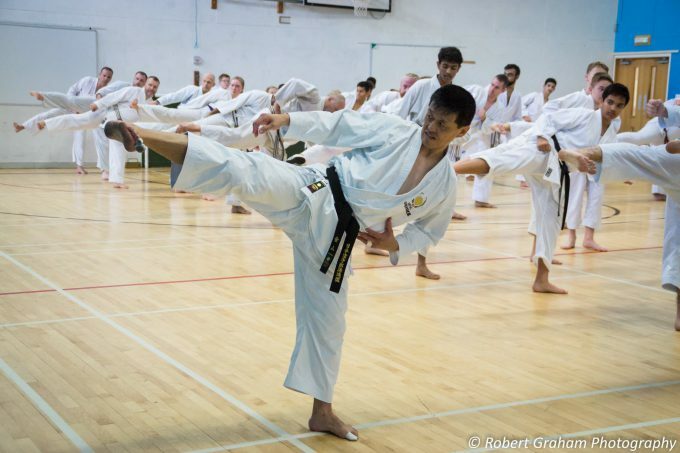 Gohon kumite was looked at in detail with several students being used for demonstration purposes, everyone of them enjoyed this experience very much as Kanayama Sensei showed a patient but demanding teaching style, perfection of technique was sought by him from all students. Kata practised were Jion and the first three Junro kata were examined in detail, everyone appreciated so much technical feedback on these kata. 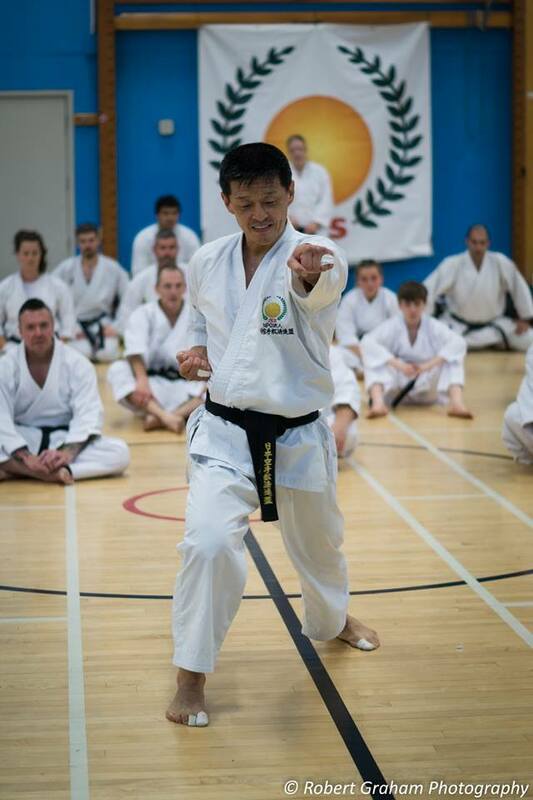 Kanayama Sensei showed the same level of enthusiasm and humour for every second of the course. Choosing to participate from start to finish and not just delegate, it is clear why Kanayama Sensei is an unstoppable force of technique and a fantastic asset to JKS karate and all he teaches. We look forward to welcoming Kanayama Sensei back to England at the soonest opportunity.